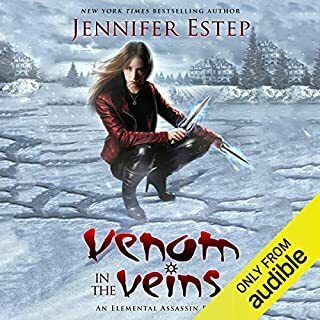 The 16th book in the New York Times best-selling Elemental Assassin urban fantasy series that RT Book Reviews calls "an extraordinary series...[containing] one of the most intriguing heroines in the genre". 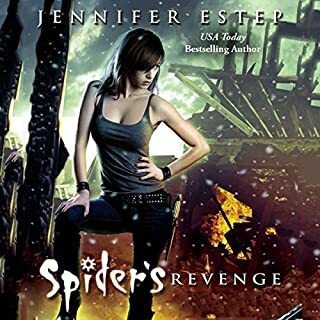 If you don't know Gin "the Spider" Blanco, you don't know dangerous female heroines. Another week, another few clues trickling in about the Circle, the mysterious group that supposedly runs the city's underworld. Gathering intel on my hidden enemies is a painstaking process, but a more immediate mystery has popped up on my radar: a missing girl. My search for the girl begins on the mean streets of Ashland, but with all the killers and crooks in this city, I'm not holding out much hope that she's still alive. A series of clues leads me down an increasingly dark, dangerous path, and I realize that the missing girl is really just the first thread in this web of evil. As an assassin, I'm used to facing down the worst of the worst, but nothing prepares me for this new, terrifying enemy - one who strikes from the shadows and is determined to make me the next victim. 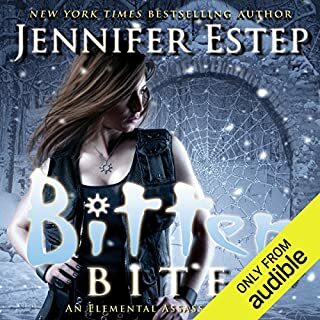 ©2017 Jennifer Estep (P)2017 Audible, Inc.
As always, Gin's never-ending battle against evil in Ashland completely dominated everything. 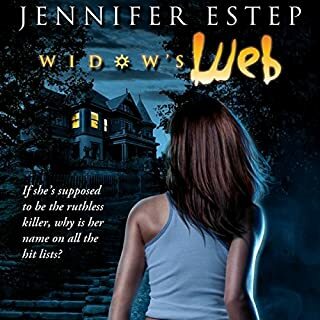 Usually, I can overlook some of her mistakes as just the luck of the draw, but the initial scene at the den window played like slapstick instead of a skilled assassin lurking for information. And when she later stepped on a creaking board in a hall she had been down before while trying to catch an intruder, all I could do was roll my eyes. At this point, it was obvious that the author was manipulating the action to fit her needs. Now, I realize that this is something all authors must do, but Estes is generally more skilled and less obvious at the ploy. I also figured out a number of the mysteries fairly early in the story and kept waiting for Gin to catch up and prove me right. For once, I was exactly right. The clues were a bit too obvious this time. Still, I enjoyed the story and it did a good job of advancing the overarching plotline as well as bringing Gin some new and valuable allies. I will continue to purchase and read this series. And if the author continues to drop references to her Bigtime series, I may even break down and read one of those. In this installment of the series, Gin gets a little bit closer to uncovering the head of the infamous Circle. Gin is also about to find out some startling info about not only her mother but her present arch enemy. 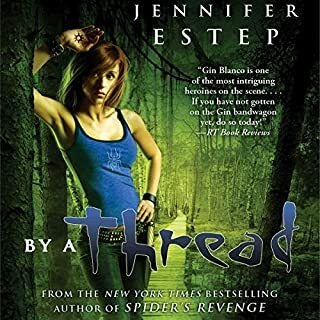 As Gin searches for her friends missing sister, she discovers a serial killer who sets his sight on making Gin his next victim. As always, an entertaining read. 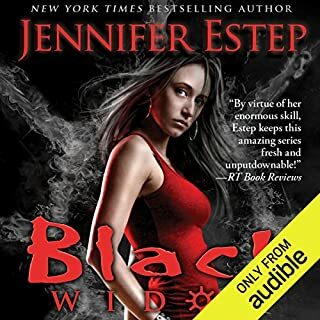 Jennifer Estep is an amazing writer! She creates stories that hold your attention all the way through! There aren’t many series that can be sixteen books in and still be interesting and exciting. 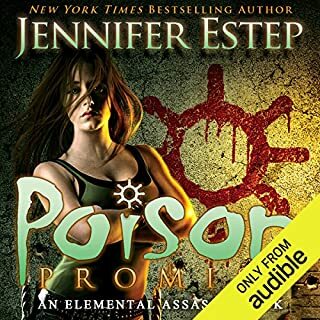 I tend to get bored with series easily lately, but Jennifer Estep has kept me on intrigued with this series from book one and it has never faltered. 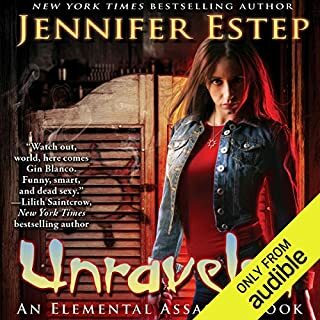 In this book, Gin has one of the underworld bosses, Jade Jamison, calling in a favor when Jade’s sister comes up missing. 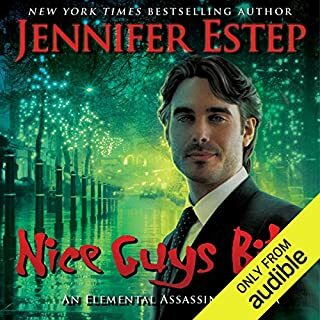 Gin and the gang quickly uncover that there’s a serial killer in Ashland. There’s always been a lot of killings, but those were more like gang killings, this is the first serial killer that we’ve seen. I will say it was a nice touch. Gin also hasn’t forgotten about the Circle. She is determined to find all the members. She learns that mother had a larger roll in the Circle than originally thought. She remembers a lot through dreams, which has become a theme throughout the series. Every book, Gin dreams and remembers the exact thing she needs from her past. While this is a bit repetitive, I like learning more about young Gin. This is a really fun series that I have loved since book one. I love how Gin is a very strong female character. I love seeing how she’s grown over the series. I love her group of friends. She was an orphan (after her family is brutally murdered in front of her) to creating a family of her own making. 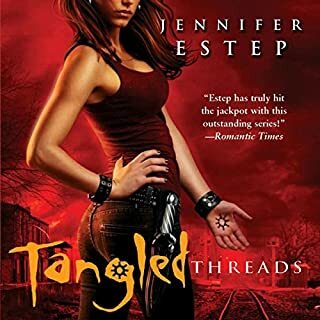 She may be a criminal underworld leader, but she also has morals and wants to take care of her own and people who need her help (if only real underworld bosses were more like her). If you haven’t tried this series, it is one of my favorite, going strong at #16. What to say about Lauren Fortgang’s narration that I haven’t already said. She does an amazing job. I love all of her voices, both male and female. I love how she sets the scene’s pace and tone. Fortgang is a favorite narrator of mine. I’ve listened to a few things with her and I’ve always enjoyed her narration. Quick Thoughts: I am becoming a huge fan of Jade (I bet you thought I would start with the standard Gin crew). She is such a complex character and this story really brought her to the forefront. Gin was on her A-Game this book including driving Silvio crazy! I liked how this moved forward the Circle storyline while also having a strong stand-alone case. 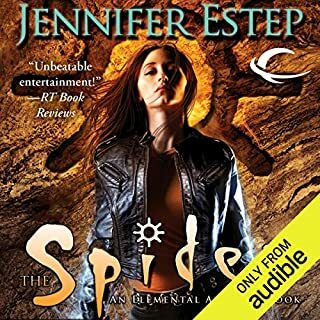 This one made me tear up a bit (all for good reasons) and after so many books I am really glad this series is still going strong! I don't think there is a single thing I haven't said about Lauren's narration of this series. She is a perfect match for these characters. 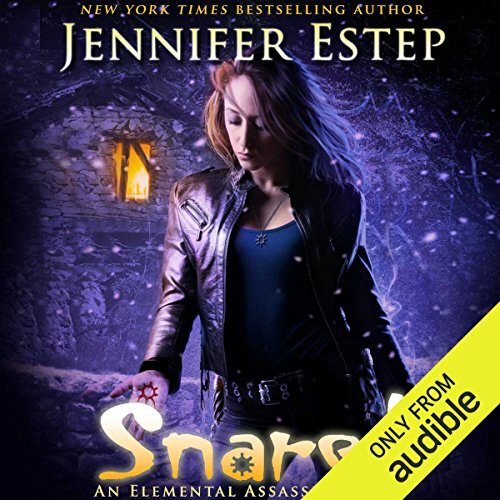 This time I will add: I waited for this to come out on audio even though I had the book early. I think that probably speaks volumes about how much I love this series on Audio! Still a great performance still a wonderful narrator. Still an amazing series.... but missing some of Gins darker combats. Still amazing. this time the clues were just too darn obvious. I found her mistakes were something Gin would not normally do, and how come she could not put it together about who killed the girls when she told me the damage inflicted was due to a Dwarf or a Giant's blow? 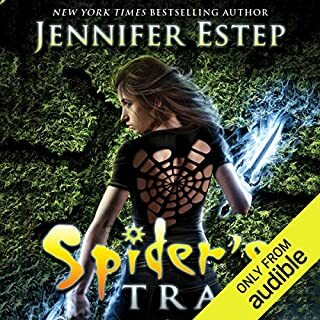 I know there is a a bigger story, that Estep is building, but hey Gin should not lose her touch just because she is retired. I always love this series! Can't wait for the next! More of Gin helping everyone and finding out about the Circle.